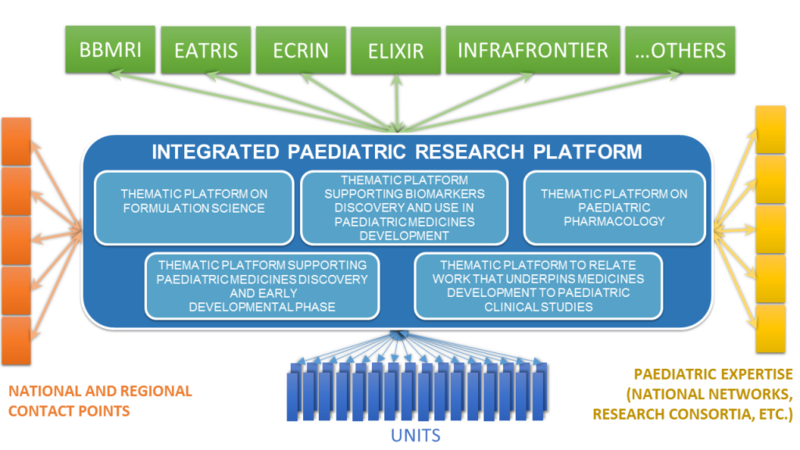 The recently EU-funded project ID-EPTRI (European Paediatric Translational Research Infrastructure), aimed to design a new Research Infrastructure (RI) in Europe completely dedicated to Paediatrics will be launched on January 15th-16th 2018, at the Ministry of Education, Universities and Research, Sala della Comunicazione, Viale Trastevere, 76/a, Rome, Italy. The project, which is financed under the H2020-INFRADEV-01-2017 programme and will last 24 months at a total cost of 3 million Euro, is led by Consorzio per Valutazioni Biologiche e Farmacologiche (CVBF). EPTRI is a new complementary RI acting as a paediatric common service in the context of the existing RIs intended to link all the available competences and technologies useful to enhance research in paediatric medicines from drug discovery and early development phases to be translated into clinical phases and medicines uses. The ID-EPTRI project aims to design the framework for the new RI providing a Conceptual Design Report (CDR) describing the scientific and technical requirements as well as the key components of the European Paediatric Translational Research Infrastructure. Five technical and scientific domains have been identified within EPTRI structure: 1-Paediatric Medicines Discovery, 2-Biomarkers, 3-Paediatric Pharmacology, 4-Formulation Science, 5-Underpinning Paediatric Studies. The kick-off Meeting will gather a consortium of 26 partners, from 19 EU and non-EU countries, to launch the project activities. In particular, it will be aimed to give all participants a better understanding of the tasks and goals of the project and to illustrate the key elements of the new research infrastructure. The first day will be focused on the global scenario around EPTRI and the role of RIs to strengthening research outcomes to improve patients’ health. The second day will be focused on the five thematic platforms foreseen, the project management and coordination and the communication and networking activities. Moreover, the EPTRI project with a particular reference to the concept design, IT structure and feasibility assessment of the infrastructure, will be discussed. More information about the project are available here.